Narendra Kumar, Assistant Professor Department of Pharmaceutical Analysis National Institute of Pharmaceutical Education & Research Hyderabad, India. The article presents a novel approach to applying Quality by Design (QbD) principles to the development of analytical methods. Common critical parameters in HPLC - gradient time, temperature, pH of the aqueous eluent, and stationary phase - are evaluated within the Quality by Design framework. It is useful for the robust analytical method development and Design Space optimisation. 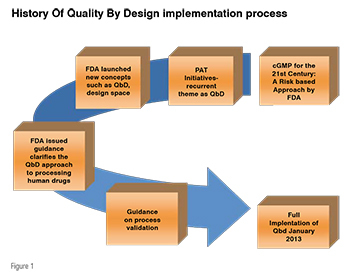 Quality by design (QbD) is defined in ICH Q8 (R1) guidelines as ‘a systematic approach to pharmaceutical development starting with pre-defined objectives with an emphasis on product and process understanding control’. Within the pharmaceutical industry there is increasing discussion about the principles of QbD analytical methods. For many years, analysts used to develop a method based on trial and error approach. With this traditional approach, many unexpected results are observed during the stage of validation in chromatographic methods (HPLC/GC etc) including the disappearance of a few peaks or appearance of new peaks creating a need to go back from starting of the method development steps. This approach is very tedious and time consuming and it cannot give robust results. This can be avoided by applying Quality by design (QbD) approach. The degradants (impurities) can be separated (or quantified) using chromatographic techniques which can be tuned by many variables and all these variables can be optimised by QbD. QbD has been initiated since 2002 and in Jan-2013 was fully adopted in the pharmaceutical industry through several regulatory initiatives such as FDA’s cGMP for the 21st Century (Figure 1), and the new regulatory documents, ICH Q8, Q9 and Q10. Initiation of QbD concept by regulatory authorities has sparked several publications in this area. In QbD approach, many statistical tools are involved like Design of Experiment (DoE), Multivariate Analysis and six sigma methodologies. Since last decade the number of publications increased every year based on the experimental design in chromatography. 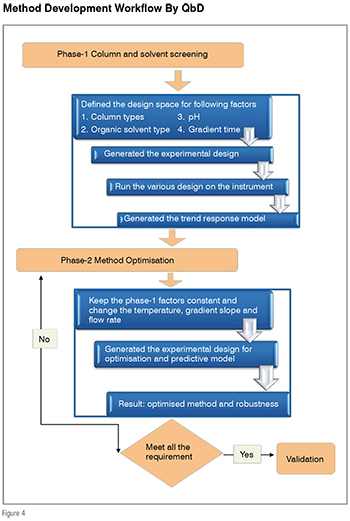 To begin the development of a QbD acquiescent analytical method and finally reach the definition of its Design Space (DS), a total of four steps need to be completed as illustrated in figure 2. The first step is to define the intended purpose of the analytical method. This has been called the Analytical Target Profile (ATP). The ATP is the set of criteria that defines at what level the analytes are measured; and accuracy or precision of method in which matrix analytes are estimated or over what concentrated range. After the identification of ATPs, proper analytical techniques are selected based on the defined ATPs, for example, for impurity/stability profiling of drug, HPLC is more reliable technique other than GC or UV techniques. The method under development will then follow a risk assessment which is the 3rd step in method development. All parameters, starting from sample preparation to end of the method (data analysis) are studied during risk assessment. 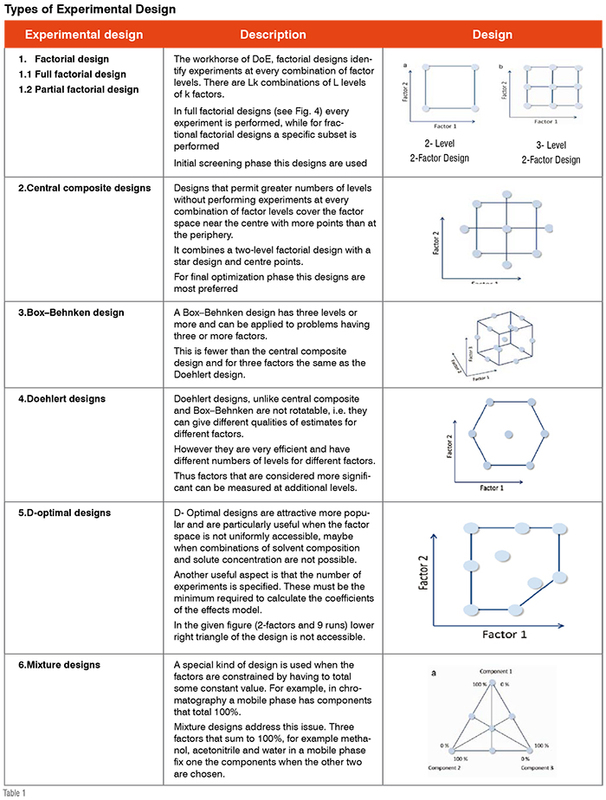 Parameters which have more influence on critical quality attribute (CQAs) are found out to construct the design space. 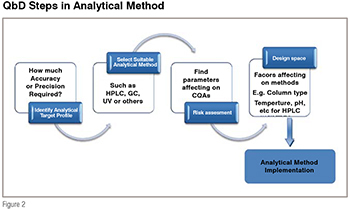 CQAs are the responses that are measured to judge the quality of the developed analytical methods, for example, total analysis time, peak tailing, lower limit of detection or quantification, resolution of critical pairs, precision of the analytical method which are the critical quality attributes for chromatographic methods. After completion of risk assessment step, design space is built up by considering all the parameters which are affecting the critical quality attribute. The rapid HPLC method development by QbD is carried out in two phases. The first phase involves column screening, sometimes referred to as column scouting. Column screening is the experimental work done to identify the analytical column with the best selectivity in terms of all compounds in the sample that must be resolved effectively. Traditionally, column screening used to be performed by keeping other parameters like pH, Organic solvents, temperature constant. Such an approach gives minimum space and interaction effect cannot be determined because columns behave differently at varying temperature, pH and gradient slope. As shown in Figure 3, the two-parameter design space must be duplicated for each column included in a column-screening study (ex: six columns), because it cannot be assumed that the parameter effects observed with one column will hold good for other columns. Keeping this in mind, new QbD associated rapid column screening approach has been initiated using many statistical tools. When any analyst start column screening work, a question about which columns need to be screened among so many arises in his/her mind. Columns are selected as per the snyder’s dendrogram having different grouping of columns as per their selectivity. Columns which are having different selectivity are chosen during screening phase. The assortment of columns having different selectivity, organic solvents are selected based on the type of LC method: normal or Reverse Phase (RP). Mainly RP-LC is most preferred mode for method development in the pharmaceutical analysis. Acetonitrile, methanol and tetrahydrofuran are mostly used reverse phase organic modifiers. Among them, acetonitrile is most widely used because of its low UV cut off and low viscosity, followed by methanol. The mobile phase pH can be a major factor that drives the selectivity of the method due to differences in the pKa of compounds. Usually, acidic conditions are the primary choice for the RP-LC for both acidic and basic analytes. Under these conditions, acids are non-ionised whereas bases are ionised. Particularly for bases, an advantage of using low pH mobile phases is that the silanol groups are not ionised, leading to a more favourable peak shape for basic solutes. For LC-MS, volatile buffer is primary requirement for mass spectrometry compatibility. 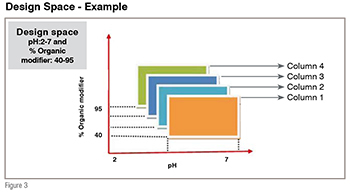 After deciding different columns, pH and organic modifiers, screening phase (phase-1) starts using experimental design (figure 4). Experimental design can be generated using software like drylab, fusion, unscramble, ACD labs etc. The phase-1 or screening phase- ‘columns and solvents screening’ experiments identified the best columns, pH of mobile phase and organic modifier to use in the next phase of method development or optimisation phase. Once these parameters are identified, next phase of optimisation involves the manipulation of remaining important instrumental parameters like temperature of column or flow rate to meet the all performance requirements. The QbD methodology also includes robustness as integral part of method development. This article highlights the application of Quality by Design principles to the analytical (HPLC) method development process. A marriage of HPLC with QbD is suggested for rapid and robust method development, understanding factors influencing chromatography, easier transfer of the method through proper documentation. The use of various modelling software programmes allowed a limited amount of experimental data to be used to examine a large number of probable run conditions. Once the optimum run conditions and their tolerance to change were predicted, experiments were run to confirm the predictions. 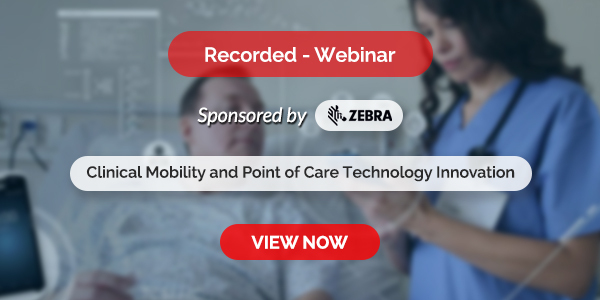 This data in the future can on the one hand serve as a common medium of discussion between analysts and regulatory bodies and easily and quickly diagnose any problems which may be encountered during the lifecycle of the method. M V N Kumar Talluri has a broad pharmaceutical experience in analytical activities in drug discovery, development and quality control, such as method development, specification design, regulatory documentation, etc. He has published 60 articles in his credit. 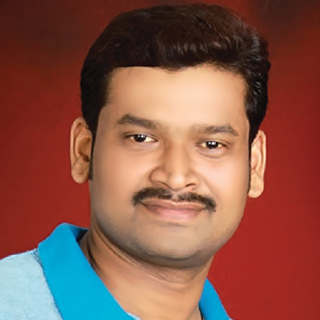 He is recipient of CSIR-Research fellowship, Institution of Chemists Associateship awards.